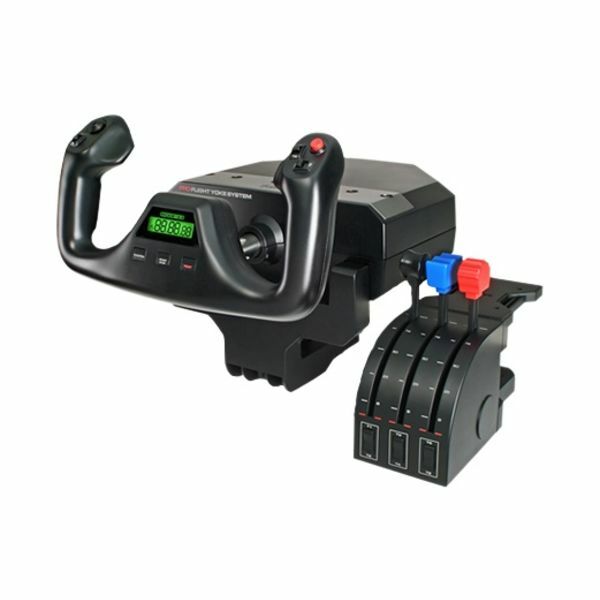 The Logitech G Flight Yoke System with included Throttle Quadrant features five total axes, stainless steel elevator and aileron control shaft, and 25 fully programmable buttons and switch positions. 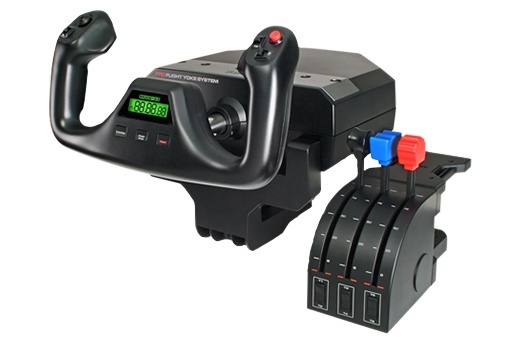 The yoke system is the hero of flight simulation and part of a complete, balanced setup—all available, modular and interchangeable from Logitech G. The Logitech G Flight Yoke System with included Throttle Quadrant features five total axes, stainless steel elevator and aileron control shaft, and 25 fully programmable buttons and switch positions. 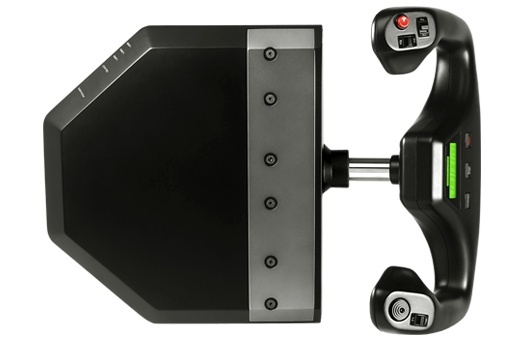 The yoke system is the hero of flight simulation and part of a complete, balanced setup—all available, modular and interchangeable from Logitech G.
Unlike some of the other offerings on the market, Logitech G Flight Yoke utilizes a durable stainless steel shaft with precision bearings for smooth, predictable elevator and aileron control. Whether navigating the front-to-back, side-to-side, or vertical axes, all controls are right at your fingertips. The built-in stopwatch is perfect for timing approaches, and if your PC lacks extra available USB ports, an integrated USB Hub provides a docking station for additional Logitech G Flight hardware. 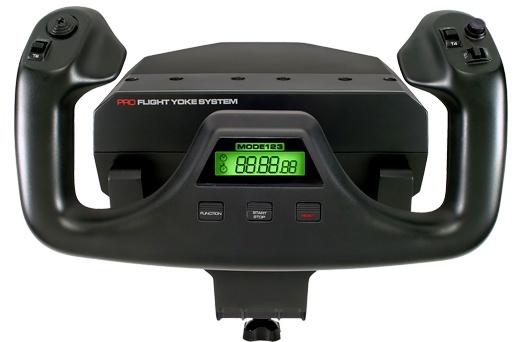 Every Flight Yoke System includes a Flight Throttle Quadrant and for precise control over multi-engine aircraft, additional Throttle Quadrants are available separately. 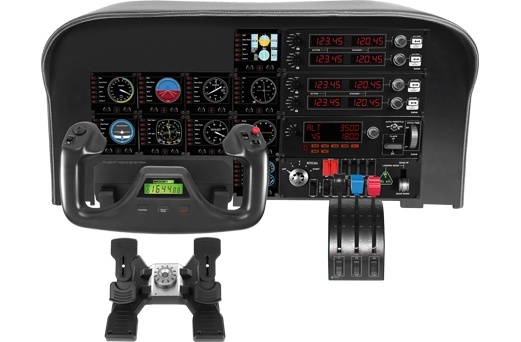 All levers are fully programmable and detachable, so you can configure any combination of throttle, flaps, mixture or propeller pitch. Just arrange lever knobs in the configuration that works best and assign commands from your favorite sim. The levers' detents—physical markings indicating where a certain action takes places—simplify control of your plane's idle and reverse thrusters. No need to load drivers or install extra software. Just connect the Throttle Quadrant to the Yoke via PS/2 cable, then the Yoke directly connects to a USB port on your PC or Mac. Load your simulation software of choice, set controls in the software options menu, and you're all set for virtual flight. For more advance settings and customization, download the software from our website. While the Yoke and Quadrant have 25 buttons and switch positions, you may want to fine-tune and customize your controls. For programming capability, download the drivers and software to start customizing. 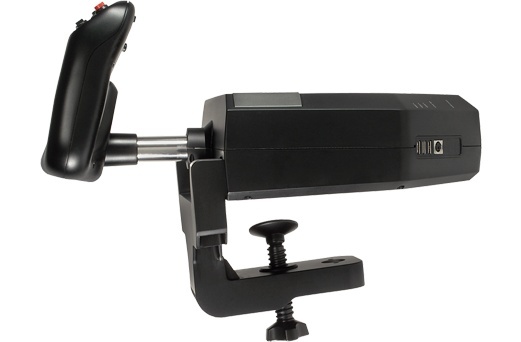 The Yoke features a three-position switch, so you can cycle through three complete profiles, with ease and speed, for a total number of 75 user-definable controls.